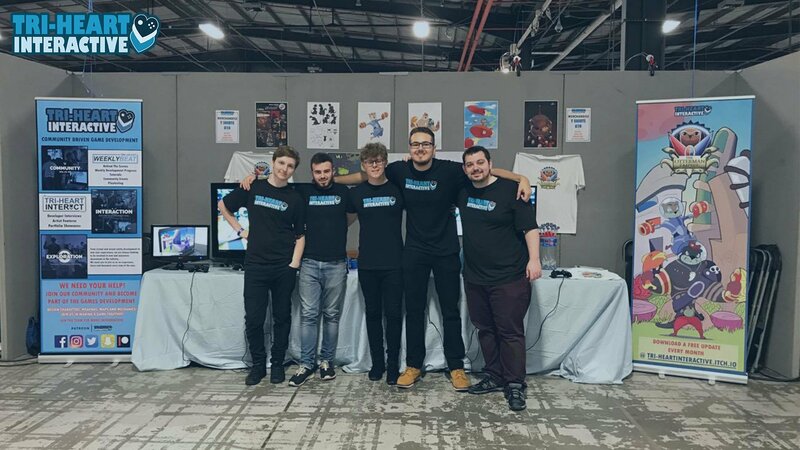 Manchester based Tri-Heart Interactive are an independent gaming company who are breaking down the walls between gamer and developer, and giving the power to those who play. Rather than simply creating a game and shipping it out, Tri-Heart are using social media to take their players on the journey with them – shaping and moulding their games to suit their audience. Tri-Heart are constantly using the feedback of their player base to mould their current project, The Otterman Empire, into a game that fans feel a firm connection to. The family friendly first person shooter should have all ten characters rolled out by March, each of which has a different personality for players to invest into. Another way the company get feedback from their players is by hosting monthly ‘Manchester Gamers Unite’ events. Attendees can relax, play games and test the Otterman Empire as it continues to grow. “One of the directors, Simran Whittam, is one of two who put on the events. For us it has been a good chance to meet the people that we interact with online,” said Kieran. Despite the company still being in its infancy, Tri-Heart Interactive have huge ambitions for The Otterman Empire brand: “We’ve only been a company now for eight months ourselves so it’s very early in the process but now were realising how big and how broad the brand can go. So were currently working on which direction to go regarding toys, TV shows and such,” said Kieran. However, the directors understand that it will take time to expand, and are confident that their strategy of keeping the audience fully immersed in what they are working on will see their brand grow successfully.